Brilliance™ is formulated with SymWhite® 377 and L-Lactic Acid which helps to brighten and fade discolorations while conditioning and protecting the skin. This enticing serum is fortified with Neem Leaf extract for its unique properties that help to improve skin’s clarity and tone. Enriched with Lemon Peel and Sweet Orange for the stimulating refreshment of dull, tired skin, revealing a more illuminating and radiant complexion. Fade to flawless with this exquisite serum that will definitely brighten your day. Helps to reduce the appearance of environmental damage. Provides controlled exfoliation while conditioning and protecting the skin. Visibly improves skin clarity and tone. Helps to brighten and fade discolorations. How To: Use morning and night on clean skin before applying moisturizer. Dispense a dropper full on the back of your hand and apply to the face with light tapping motions avoiding eye area. For the ultimate treatment, apply after Youth Accelerator™+, Mocha Loca™+, or Sir Activ™+ and follow with Molecular Mist™+ and Dreamweaver™+. 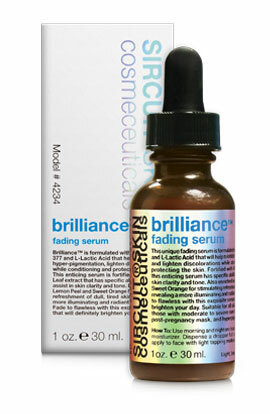 Brilliance™ serum is the perfect complement to your home treatment program. Always wear sun protection after using this product. Shake well before use. Lemon Peel Extract (Citrus Medica Limonum): Stimulating and refreshing with potential brightening properties. SymWhite® 377: A powerful antioxidant and botanical fading agent that helps to promote clarity and brightness of the skin while also helping to improve the overall appearance of a dull complexion. Sweet Orange Essential Oil (Organic): Stimulating, refreshing and may also provide the skin with brightening benefits. 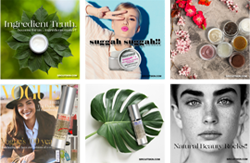 Formulated With: Aqua (Water), Hamamelis Virginiana (Witch Hazel) Water, Glycerin, Citrus Medica Limonum (Lemon) Peel Extract, Lactic Acid (L), Azadirachta Indica (Neem) Leaf Extract, Phenylethyl Resorcinol, Xanthan Gum, Citrus Medica Limonum (Lemon) Peel Oil*, Citrus Sinensis (Sweet Orange) Oil*. *USDA Certified Organic. Sunburn Alert: This product contains an alpha hydroxy acid (AHA) that may increase your skin’s sensitivity to the sun and particularly the possibility of sunburn. Use a sunscreen and limit sun exposure while using this product and for a week afterward. i love brilliance. it has truly worked wonders on my skin. miracle serum !! i have bought this product so many times. i can't live without !